(Please see the in-world release or download Sim Street Journal #3 for more photographs, articles, and functionality. 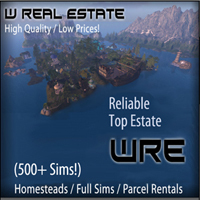 Also available on MARKETPLACE). In the never-ending quest for realism, movement is half of an avatar’s visual. First comes choices in shape and style. Then come the selections in how to move. AO’s are as expressive as skins. Avatars require crafting and this inspires the evolution of naturalism. • First is the choice of the AO that governs walk, run, stand, and sit positions. Otherwise the newbie awkwardness is embarrassing. • Secondly, pose balls are used for special movements such as dancing or modeling. 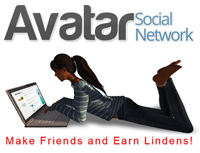 By clicking on one and agreeing to the animation, the avatar begins to follow a new movement sequence until stopped. • Next, quality furniture has animations within, requiring menus. Most are menu-driven, and vary widely. • Special animations can be added to inventory such as dance or performance that can be clicked to activate. • Finally come the HUDs, also worn that can gives the most options as well as other connective features. What connects all these? Often there are gaps of movement, awkwardness that can be embarrassing. No one wants to be in a club and suddenly be sitting on a chandelier when trying to coolly choose a dance animation. Having to put up with clumsiness almost seems a fact of virtual life! • models and fashion designers can set up runway shows to flow seamlessly allowing attention to be on fashion. • developers can direct visitors through an educational or historical replication SIM. Even event planners could take advantage of this tool. • customizable so anyone can create their own sequences of movements, beginning with dance. Virtual opportunities are limited only by the ingenuity of residents. The desire to make avatars ‘life-like’ will always be a challenge met by the abilities of those who inhabit them. The Spot On Choreography System is one smooth step closer to experiencing a better Second Life. Galilla Sinatra, Rug Halberd, and Martin Yeats make up this talented group who pools their desire, ingenuity, and technical talents. Lovers of dance and music in SL, Rug and Gali are part of Dance Queens, a group that shares skills, experience, and fun in all aspects of dance and performance, from lessons through complex collaborations. (www.sldancequeens.blogspot.com) While the HUDS animate avatars with dances, there isn’t anything transitioning the dances or moving the avatars from point A to point B (or any other point). After complaining to Martin Yeats, who writes code for a living, the new trio came up with their unique approach. While it took a year to turn their idea into the product that was launched this past December, the most difficult aspect was convincing Martin to turn the idea into reality. Martin laments, “I wasn’t initially into it. I write software every day at work, it’s my first life and I wanted SL to be the antithesis of that”. He knew that he was pivotal to cracking the nut on how to turn Gali and Rug’s ideas into reality. Once Martin sunk his teeth into the project, he welcomed the challenge, and took it on so passionately that in only a month, he turned out the first product rendition. The trio admits that once the challenge of working out the idea was out of the way, the bundling of the product and getting it out wasn’t tremendously difficult. Gali and Rug found their real life occupations and experience in marketing, customer service, and training have prepared them well for the launch and continued marketing of Spot. Gali, a computer tech by day, trains teachers on how to make class websites and use software programs. Her patience and training experience lend itself well to dispelling the fear that Spot On is complicated and unwieldy like similar products on the market. Martin: “I enjoy learning SL’s ins and outs. I’ll be honest, dancing wasn’t my thing. But when I teamed up with these two, their passion was infectious. Published monthly in complimentary versions: in-world and online. Comments and opinions are also encouraged.